The artistic and practical possibilities of the acclaimed Sony α mount camera system grow further with four new optional accessories from Sony. Brighten portraits, interiors and other nearby subjects with this slim, light flash unit that attaches to your camera’s Multi Interface Shoe. Despite its compact dimensions, the HVL-F32M is rated at a generous GN32 Guide Number. The flash head can be adjusted up, down or sideways for easy production of pro-style bounce effects with fewer harsh shadows. You’ll get beautifully-exposed flash shots every time, with advanced flash functions including ADI flash metering, high-speed sync and Auto White Balance. 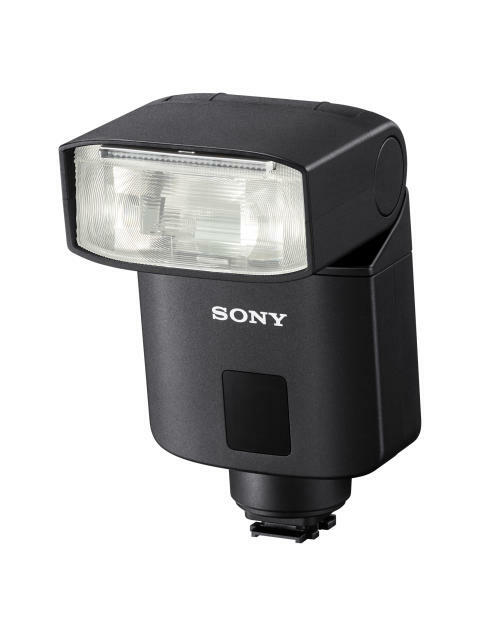 There’s also a wireless flash function that allows off-camera triggering of the HVL-F32M for fuss-free creation of pro-style multi-flash effects. There’s a built-in wide panel that diffuses light evenly when the camera’s being used with wide angle lenses with a focal length of less than 24mm. As an extra refinement, a bounce sheet creates flattering highlights in portrait subject’s eyes. Key buttons, controls and other operating parts are sealed against intrusion by moisture or dust, making the HVL-F32M an ideal choice for on-the-go shooting in a wide range of environments. The back panel of the flash features a handy LCD panel that displays operating modes and settings, plus 4-step colour-coded indicator lights for an instant visual confirmation of battery charging status. Movie makers and videographers can add extra polish to their soundtracks from weddings, interviews, video productions or wildlife shoots with this versatile XLR adaptor kit. 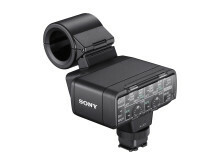 Designed for highly dependable pro-style operation, it attaches to the Multi Interface Shoe of all α7 Series camera models, as well as α99 and Cyber-shot™ RX10 cameras or FDR-AX100, NEX-VG30 and NEX-VG900 camcorders. It’s ideal for use with the supplied ECM-XM1 shotgun microphone that offers a highly directional response to pinpoint voices and other sounds in the middle-distance. Alternatively, a wide range of other professional microphones can be used. Balanced inputs – from a stereo microphone, two mono mics or line level sources from a mixer – are via two rugged XLR connectors, with independent level control and selectable 48V phantom powering for each. The adaptor’s 48V phantom power source can directly supply an attached microphone, drawing power directly from the camera’s Multi Interface Shoe without the need for additional batteries. The newly-developed mic holder cradles the microphone securely while reducing mechanical vibration. There’s also a low-cut switch for each channel to attenuate wind noise and other low-frequency rumbles. This high-capacity soft carrying case gives your Sony camera, lenses and accessories the protection they deserve. This slim, stylishly designed carrying case features a removable inner holder with generous capacity to hold your camera plus three lenses – such as Sony’s E-mount SEL1635Z, SEL2470Z and SEL70200G – so you’re covered for virtually any shooting assignment. There are plenty of pockets to hold flashes, chargers and other camera accessories, plus handy extra spaces for your smartphone, removable media cards and tripod or water bottle. There’s even a large pocket for your tablet to slide into. The shoulder-mounting case also comes with a detachable rain cover for extra outdoor protection that can be stowed temporarily in the back cover. From revealing shots of wildlife to group portraits and blur-free firework pictures – the RMT-VP1K lets photographers enjoy ‘hands-off’ control of cameras functions from a distance. Attaching to the camera’s Multi terminal, the infrared receiver offers 360-degree all-round sensitivity, allowing the camera to be controlled from any angle using the remote commander. As well as releasing the shutter, photographers can also control other functions including record start/stop and zoom. A simple channel setting function allows several cameras to be used in close proximity without interference from other remotes. The RMT-VP1 can also be used to control selected functions on some cameras that include a built-in infrared sensor.